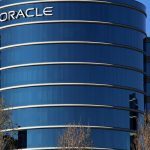 Oracle recently announced some new artificial intelligence updates for Oracle Enterprise Resource Planning (ERP) Cloud and Enterprise Performance Management (EPM) Cloud. These innovations are meant to deliver quick access to data and insights for organizations based on machine learning technology. More specifically, Oracle ERP Cloud is meant to help organizations automate some of their core processes and streamline systems and technology. So these new features are meant to better support that general goal. Here are the biggest changes to note. This feature lets users automate labor-intensive tasks so organizations can have their employees focus on more strategic or rewarding tasks. It includes seamless integrations of intelligent rules-based processing across all Oracle Cloud Applications. So basically, you can take advantage of automation throughout the entire platform. The cloud platform is also getting a new chatbot assistant. This feature is meant to improve controls and audit compliance specifically when it comes to managing your expense reporting. It handles the processing efficiently and accurately on the back end so end users can have a simpler experience on the front end. When it comes to the actual payments, new AI capabilities help users generate vendor-specific offers using real-time supplier profile and risk data. It gives users the opportunity to reduce costs and improve relationships with suppliers in exchange for early payment of any outstanding payables with those particular vendors. ERP’s machine learning tech is also combining supplier data from all of its applications to optimize the procure-to-pay process. It collects info about suppliers, purchase orders, invoices, and payables and then combines them with external data sources to form categories and rankings so that you can see a full and practical picture of your suppliers. The Oracle Enterprise Performance Management Cloud has embedded AI capabilities that are able to uncover data patterns that would otherwise be difficult to detect. Then it can deliver actionable and contextual insights to help you make the most impactful financial and operational decisions at the optimal time. This security feature involves AI that is embedded into the platform to constantly examine users, roles, and privileges. It compares those settings against a library of active security rules and best practices that you can configure. So when it detects threats, fraud, misuse, or human error, it can alert you right away.